Data analysis is a valuable skill set to master. Regardless of the industry you're in, businesses rely on a variety of analytics tools to guide their operations in the right direction. This $29 Microsoft Data Analysis Bundle teaches readers data analysis skills using Microsoft’s most popular tools. The first course in this bundle teaches readers how to use Power BI to access reports and dashboards and create visualizations to illustrate insights on their data. The lessons include how to use use the Query Editor to transfer and morph data, perform data modeling operations, and share dashboards and reports with other viewers. Another tool worth learning is Excel, an easily accessible yet powerful piece of software found in businesses across the world. This course teaches advanced techniques such as building graphs, automating spreadsheets with macros and VBA, and analyzing data using Pivot Tables and Power Pivots. 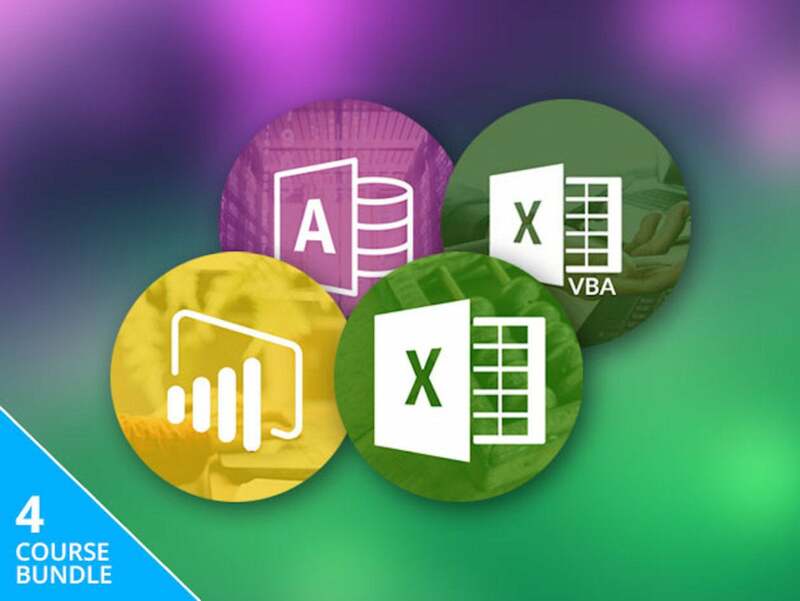 You can use Microsoft VBA to expand on your Excel skills; the third course focuses on skills such as writing and implementing Excel events, using input and message boxes to interact with end users, and modifying your Excel UI such as Ribbon and context menus to mesh with VBA code. Finally, learning how to use Access is a great way to develop your database management skills. The last course introduces readers to advanced Access techniques such as splitting a database, creating and maintaining macros, and implementing VBA into your Access usage. You can find the Microsoft Data Analysis Bundle here for $29, down from $1,104.